Nachos are Back at Taco Bell! 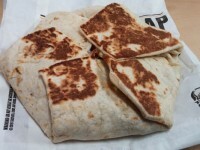 Well…Nachos never really left Taco Bell, but if you are a frequent reader of this website, you understand how much we loved a really large Nacho platter. 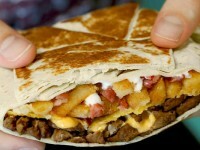 Taco Bell has just released the BOSS Nachos. This is a addition to the “Boss” family, with the Boss Wraps to come out in October. “Boss” seams to be a new delivery system for steak? I’m not sure. 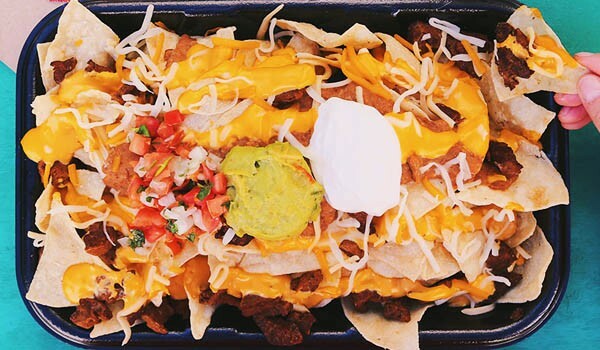 While I have been a huge fan of the XXL Nachos that have come and gone for a few years, it seems like the BOSS Nachos are basically the same thing. The great thing about these nachos, is you can get them in either chicken or beef as well as steak (I’m not a huge fan of Taco Bell steak, and would gladly pay $1 less to get the seasoned beef version, which is what I did yesterday). The BOSS nachos include chips, nacho cheese sauce, a shredded cheese blend, refried beans, guacamole, and a reduced fat sour cream along with your choice of chicken, beef, or steak. The steak version will run you $5.99, while the seasoned beef will run $4.99, with chicken somewhere in the middle. I will have a review up shortly. 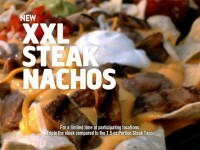 Spoiler Alert: They are basically the same as the XXL nachos in pretty much every way.